With a story on ‘Sunday Night‘, here in Australia tonight, I could not pass up the opportunity to make a note on the subject. Just how many other drugs have been used on Australian’s (and Worldwide) and 1000’s is a genocide in my point of view. Going on the story tonight, America had a ratio of 1000 death’s per month at one point from Trasylol. 12 Most Dangerous Prescription Drugs via Life Sources Inc.
How to Survive Medical Treatment: A Holistic Guide to Avoiding the Risks and Side-Effects of Conventional Medicine ~ a wonderful book I’ve had for years. Astronomers have traditionally used this symbol for the planet Mercury, and it is the medieval alchemical sign for the element mercury (Hg) as well. It consists of the biological sign for female (the sign used for the planet Venus), but topped with “horns” or a crescent. Mercury was the swift messenger god of classical Roman civilization, and the horns represent the winged hat he is usually shown wearing. In ancient Greece, he was called Hermes. The U.S. Army Medical Corps Branch Plaque. The 1902 adoption of the caduceus for U.S. Army medical officer uniforms popularized the erroneous use of the symbol throughout the medical field in the United States. The caduceus is the traditional symbol of Hermes and features two snakes winding around an often winged staff. 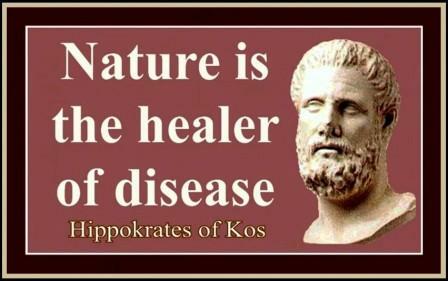 It is often mistakenly used as a symbol of medicine instead of the Rod of Asclepius, especially in the United States. 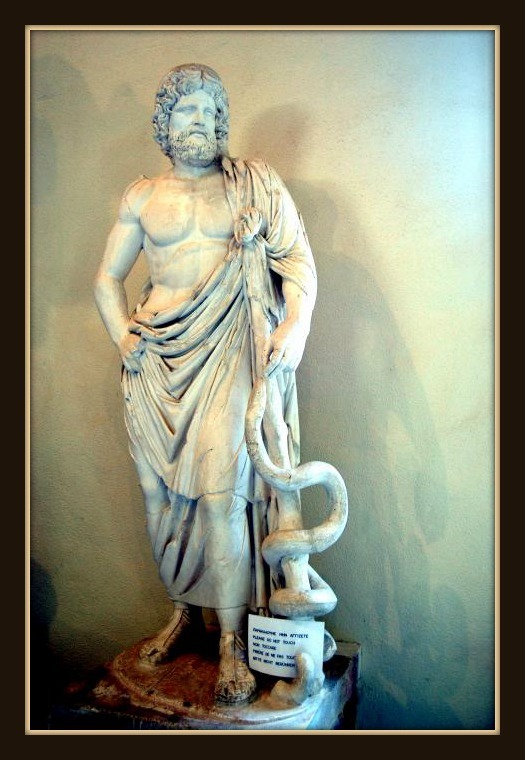 The two-snake caduceus design has ancient and consistent associations with trade, eloquence, trickery, and negotiation. Tangential association of the caduceus with medicine has occurred through the ages, where it was sometimes associated with alchemy and wisdom. The modern use of the caduceus as a symbol of medicine became established in the United States in the late 19th and early 20th century as a result of documented mistakes, misunderstandings and confusion. While there is ample historical evidence of the use of the caduceus, or herald’s staff, to represent Hermes or Mercury (and by extension commerce and negotiation), early evidence of any symbolic association between the caduceus and medicine or medical practice is scarce and ambiguous. It is likely linked to the alchemical “Universal Solvent”, Azoth, the symbol of which was the caduceus. I swear by Apollo the physician, and Aesculapius the surgeon, likewise Hygeia and Panacea, and call all the gods and goddesses to witness, that I will observe and keep this underwritten oath, to the utmost of my power and judgement. I will reverence my master who taught me the art. Equally with my parents, will I allow him things necessary for his support, and will consider his sons as brothers. I will teach them my art without reward or agreement; and I will impart all my acquirements, instructions, and whatever I know, to my master’s children, as to my own; and likewise to all my pupils, who shall bind and tie themselves by a professional oath, but to none else.